The once abandoned 370 Jay Street building is now amongst an elite group in sustainable achievement, recently earning LEED v2009 Platinum certification in Core + Shell. This level of certification represents the highest standard for energy efficiency, green power and sustainability from the U.S. Green Building Council with only three other New York City buildings holding LEED Platinum certifications. In celebration of this prestige, looking back at the history of 370 Jay Street makes this level of accomplishment even more commendable. In its previous life serving as headquarters for the New York Transit Authority in the 1950s, 370 Jay Street was praised for its mid-century modernist design and stood as a vibrant urban hub connecting Downtown Brooklyn to the rest of the New York area. The building remained in use for decades but eventually as the Transit Authority became a part of what is now the MTA, the organization relocated, leaving behind a largely vacant building that stood in neglect for years. In 2012, The City of New York selected New York University to construct 370 Jay Street into a new education center focused on advanced technology and sciences with the goal of re-establishing itself as a hub of innovation. In the redevelopment, Atelier Ten worked closely with Mitchell & Giurgola and NYU to prioritize environmental sustainability in the approach to construction. Our team of environmental designers developed a multifaceted strategy to transform the existing structure into a certifiably healthy building. The strategy began by establishing base standards for a construction project of this type—and surpassing them across the board. 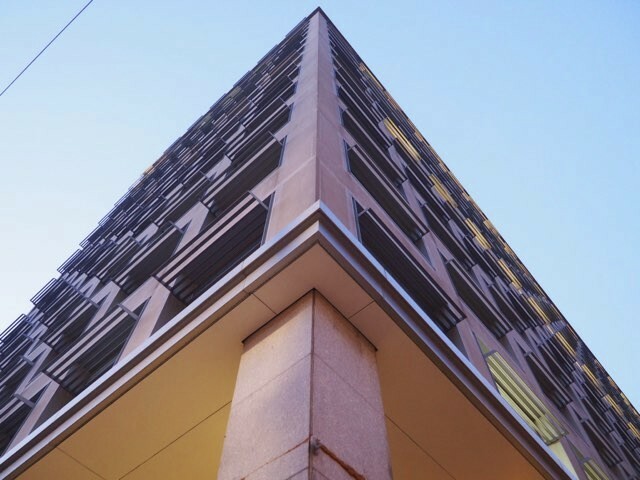 By exceeding standards in water efficiency, sustainable site, energy & atmosphere, materials and resources, indoor environmental quality, and transportation, the status of 370 Jay Street was catapulted into the Platinum level. Among the most recent accolade, 370 Jay Street has also been recognized for design excellence and awarded the 2019 AIANY Honor Award in the Sustainability Category, and will be featured in the Northeast Sustainable Energy Association (NESEA) 2019 Pro Tour. From a once moribund building to a well honored and recognized LEED Platinum academic center, the success of 370 Jay Street’s transformation proves the ability to bring an abandoned structure back to life as a high-performing building while setting a new sustainable standard for buildings to come.